Housing Authority (Section 8) is an option for low income families, those with disabilities, or parents in a re-training program through our Community College. 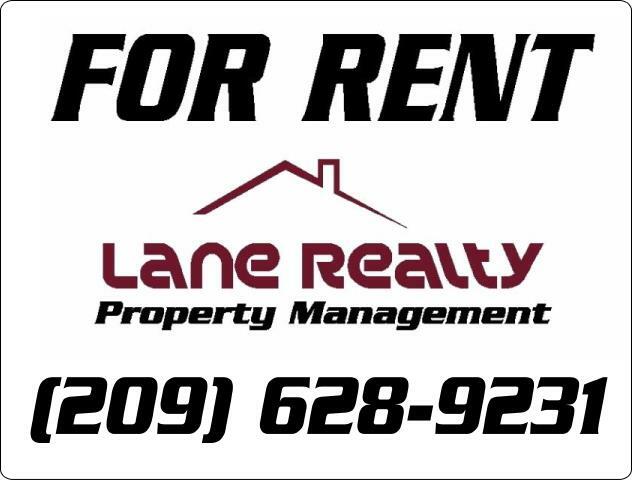 Looking for a home to Rent in Merced or Atwater? This link will take you to our 'Homes for Rent' Page. Your screening fee can be paid by check or cash. 1. Please fill out the application completely and accurately. A rental application for each adult over 18 must be completely filled out and signed by each applicant. Falsification of information is grounds for denial. 2. List all sources of income. If an applicant does not demonstrate the ability to pay the monthly rent, a co-signer may be required to guarantee the financial obligations of the lease. 3. Verification of income is required for applicants and/or co-signers. 4. Photocopy of Driver's license, ID card, or passport. Or take a picture of DL with phone and send. 5. Application fee is ($20 per person includes credit check). A credit check/payment history will be performed on your application. 6. Other information: The properties that Lane Property Management and Realty manages have been purchased by different property owners. Each owner has different acceptance qualifications for tenancy. Application processing varies according to the accuracy of information provided and number of applicants per residence. Generally, the process is completed in 72 hours, however it can vary. Here are some web portals with assistance for aging and/or disabled Americans. These portals lead to financial, emotional, and physical assistance sites to help improve the quality of living.